Go On Adventure Through Colorado! Colorado Offers Over 200 Towns To Explore. Around 300 Days Of Sunshine. Endless Things to do such as visiting the Stanley Hotel or taking a trip on Narrow Gauge Railroad. Looking For A RV Resort In Colorado? Find The Best RV Parks in Colorado! 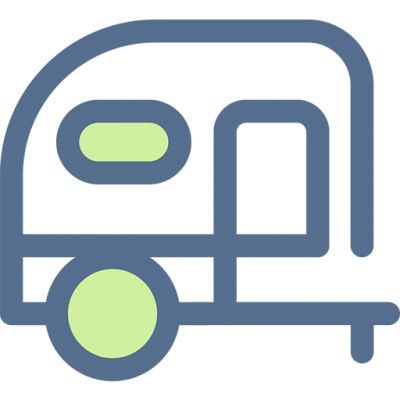 Finding a campground or RV Park in Colorado is easy. But finding an RV Resort where you can relax on a Fantastic Campground with all the amenities may be a little harder. If you like to enjoy the Rocky Mountains in the best care possible we have a list of RV Parks for you. We’ll go over some of the best RV camping in Colorado according to location, attractions, and amenities. Palisade Basecamp RV Resort is located in the beautiful town of Palisade, Colorado. Palisade Basecamp is located near the Colorado National Monument where you can enjoy a magnificent National Park. We have direct access to the Colorado River where you can take a canoe or a paddle board down the river and get some sun. Palisade Basecamp is also is a bike ride away from some of the finest wineries in Colorado and you can take part in the Best Wine Festival in the U.S. according to USA Today. There isn’t a reason not to visit Palisade Basecamp RV Resort. 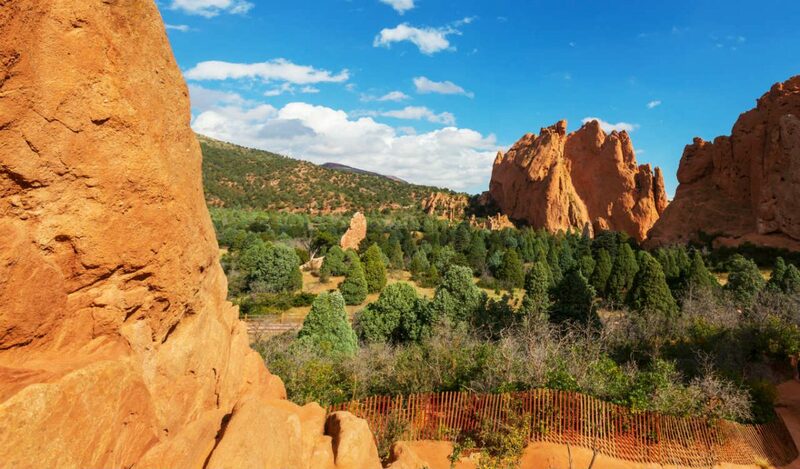 Garden Of The Gods RV Resort is located in the beautiful Colorado Springs, Colorado. The resort is located near the Garden Of The Gods Park is where you can enjoy a magnificent National Natural Landmark. Garden Of The Gods RV Resort also has fun attractions nearby such as the Royal Gorge Bridge & Park and cool small towns such as Victor. You’ll never have to worry about what to do as a festival is always happening. Elk Meadow Lodge & RV Resort is located in the wonderful town of Estes Park, Colorado. Elk Meadow Lodge & RV Resort is located near the Rocky Moutain National Park, where you can enjoy this lovely National Park. We are just a short distance away to Garden Of The Gods. 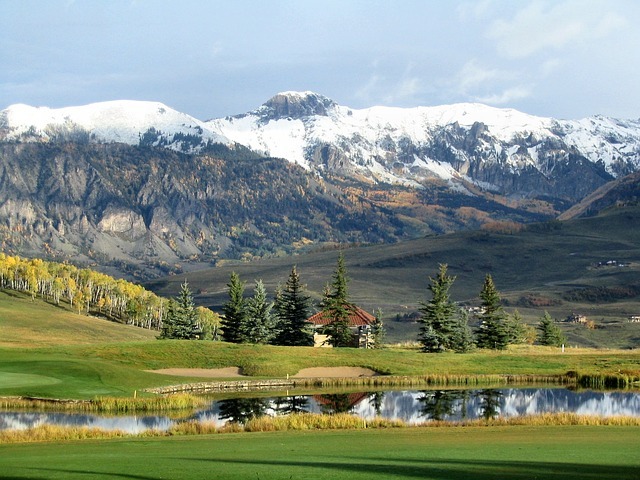 Elk Meadow Lodge & RV Resort offers great attractions such as golfing The Estes Park 18 Hole Golf Course, Horseback riding, and can even visit the Stanley Hotel which is supposedly haunted. With mountains and trails as far as the eye can see you’ll never run out of adventure. – Access to authentic Teepees. – Fun activities such as miniature golg, horseshoes, and bean bag toss. Colorado is a fantastic place to bring your RV. While the weather may be sunny most of the year. It is important to know what you should be prepared for. Colorado Offers Year-Round Attractions for your RVing Adventure. What To Expect In The Winter/Spring Season? Some people have found out the easy and hard way of how to RV during the winter. 1. Properly Winterize Your RV. 2. Head To A Warmer Climate. Cold air as you know, will creep into any place that is not covered. You can fix this by adding insulation to the windows, stairwell, and doors. The materials used for insulation can range from heavy fabric to even bubble wrap. Keep out the cold air and enjoy your hot chocolate in peace. This applies to any RV without insulated bays or a trailer. Skirting allows you to heat the underside of your RV. Most are easy to install and can be created with snow as well. Make sure to buy a quality heated water hose. Be sure to insulate and cover any exposed piping that may come from the spigot and water supply. Enjoy The Colorado Winter Wonderland! These are just some tips on how to get ready for the Colorado Winter Season. 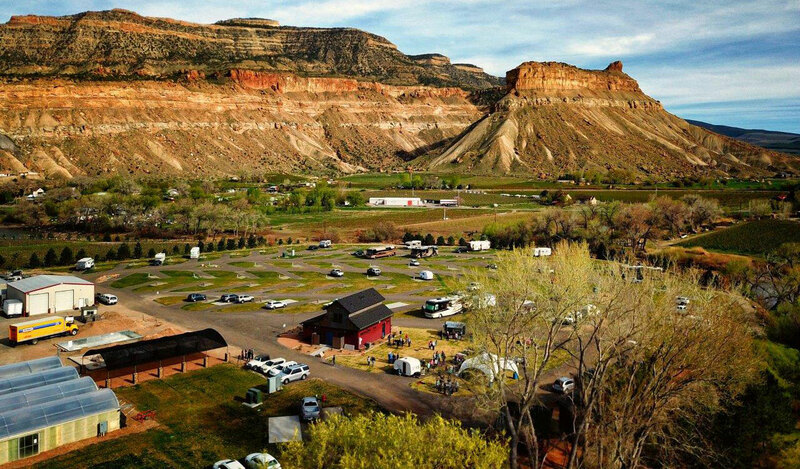 If you’re looking for an RV spot in Colorado, check out Palisade Basecamp RV Resort. 1) If you are RV camping in the winter/spring season we have given you actionable tips on how to keep warm in the winter time. 2) Colorado is a wonderful place to visit and so are the countless parks, monuments, towns, and attractions. 3) We offered some of the best RV Parks in Colorado to stay at while enjoying the adventure. Ultimately, Where You Go and What You Do is Up to You! Hope You Enjoyed these Tips on RV Camping in Colorado.